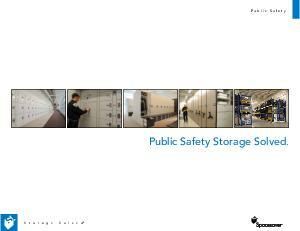 Browse some of our popular Public Safety downloads. 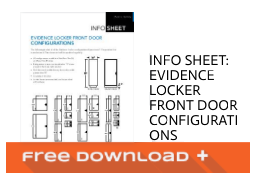 Looking to reinvent your space, download one of our helpful documents. 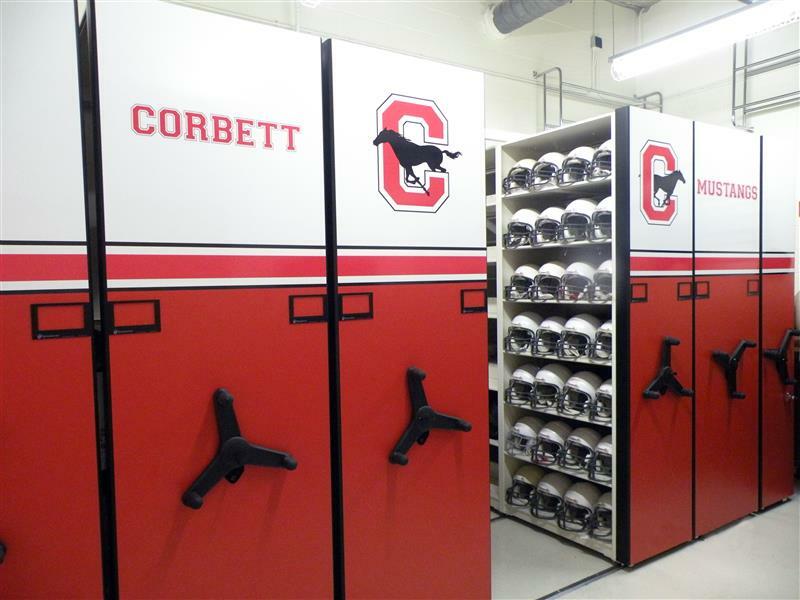 Athletic storage– words to make an equipment manager cringe. 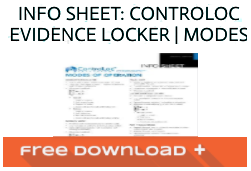 Thus, when decision-makers at Ray D. Corbett Junior High School in Texas began building a new school, they intentionally focused on overcoming common athletic equipment storage challenges. If that wasn't enough, they also had to deal with a rapidly growing student population and tight budget. 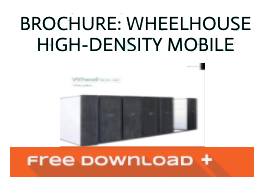 Southwest Solutions Group, a local Spacesaver representative, recommended the Wheelhouse High-Density Mobile Storage System. It stores an incredible volume within extremely tight spaces and allows hassle-free component change-out. What's more, the entire unit can be disassembled and moved! In the end, the school won big time. They got more than the storage they needed, inventorying is a snap, lost items are easily found and equipment managers are smiling. 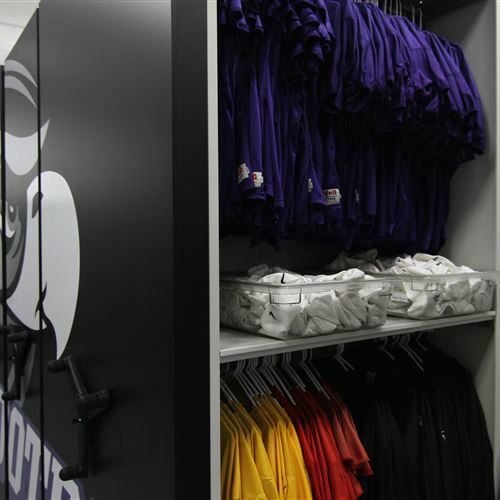 NCAA Division III champions, the UW Whitewater Warhawks, were in need of a football equipment storage overhaul for their equipment room. 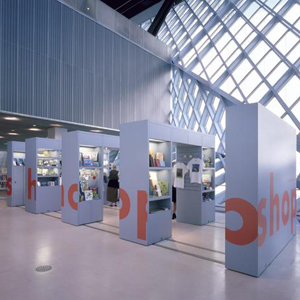 Wheelhouse High-Density Mobile Storage System with custom end panels, stationary 4-post shelving, under counter storage cabinets and drawers, and WRX Wheels Transport System carts were incorporated into the design. Not only has there been measurable time savings as a result of the new athletic equipment storage systems being installed, there has been a renewed sense of pride and excitement about the space. To protect rare and historic U.S. literary treasures against the ravages of time, a team of experts set out to rescue the irreplaceable collections at the State Library of Pennsylvania. 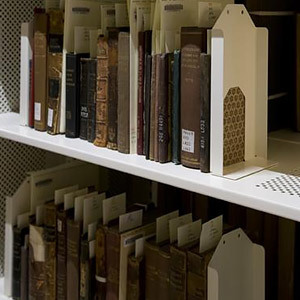 Special considerations called for a unique storage solution that would take the protection and preservation of paper-based archives to new heights. Project architect Cornelius Rusnov partnered with Cheryl Micka of StorageTek, Inc., the local Spacesaver representative and member of the nationwide Spaceaver Group of independent contractors, to plan and design a storage solution matched to the overarching conservation goals and exacting specifications of the collections. 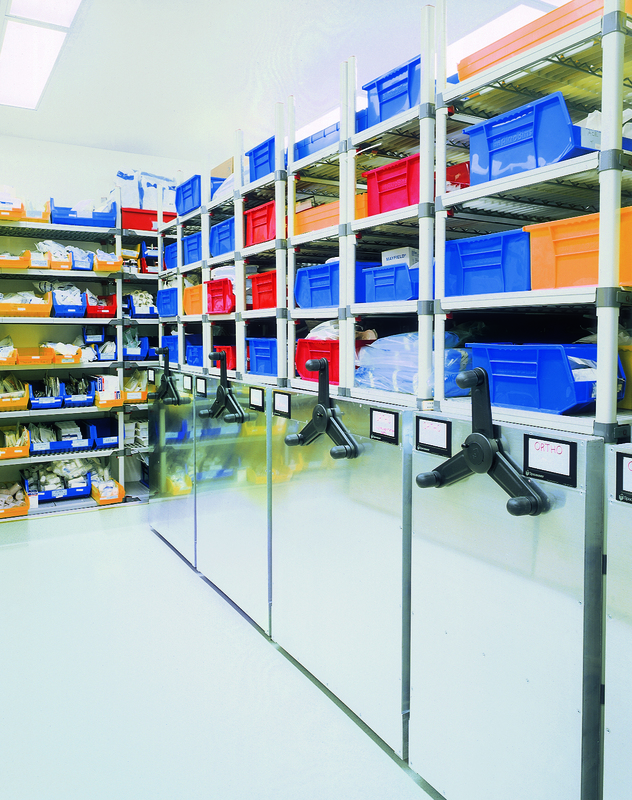 When the Medical College of Pennsylvania, a member of the Tenet Healthcare Corporation remodeled its operating room (OR) suite, it incorporated a Spacesaver mobile system in the sterile supply room to free up space for operating room expansions. The remodel project had to satisfy several essential improvements. There was to be more room given to a large MRI area, which is in the OR. Also, the OR needed space freed up for larger procedure rooms that could accommodate new technology equipment for nero-surgery procedures. Keeping medical items sterile has long been a priority for hospitals, but with the new laws taking effect, hospitals are taking extra precautions to keep supplies clean. 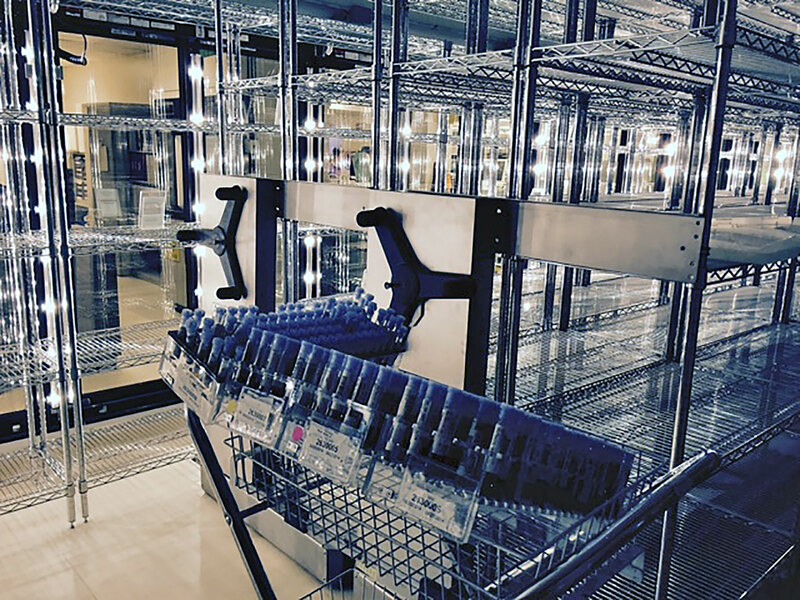 At an award-winning hospital in Virginia, a new sterile storage system was high on the to-do list, but sterility was only one piece of the puzzle. The hospital was remodeling to add more space for lab activities, but they didn’t want to sacrifice precious cooler storage for sterile supplies and samples. Like any other museum, the Naval Undersea Museum in Keyport, Washington has a large archival storage department. However, most museums don’t have to worry about where to store 6,000 lb. torpedoes along with the rest of their artifacts. Dedicated to preserving over two centuries of U.S. 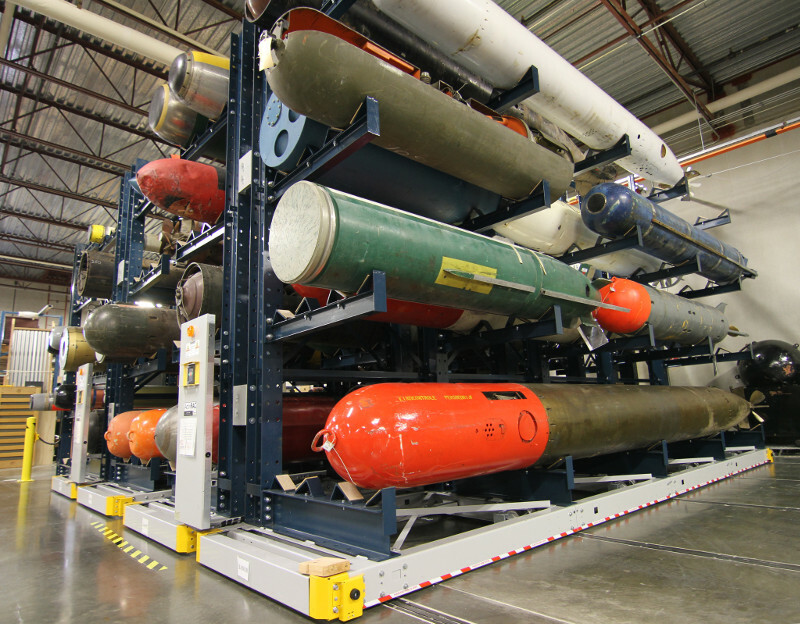 Naval history, the archival storage warehouse includes torpedoes, undersea and diving equipment as well as art. 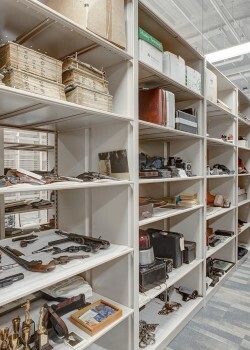 In order to preserve and protect the various artifacts stored in the facility, the collections manager had to research for alternative storage solutions. The problem with efficiency for many beer keg storage warehouses isn’t the lack of space in general or the increase of new product but how it is being stored altogether. 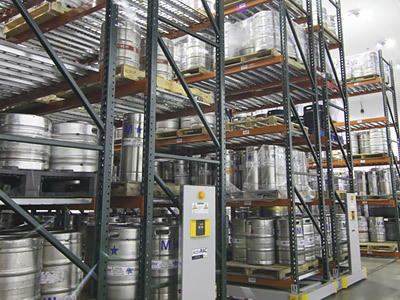 There are alternatives to traditional pallet racking that will allow you to improve operational efficiency of your beer keg storage. ActivRAC 16P from Spacesaver increased the storage capacity within the cold storage room almost 100%, it can now store up to 7,000 kegs and employees can easily maneuver in and out of the aisles with a forklift. 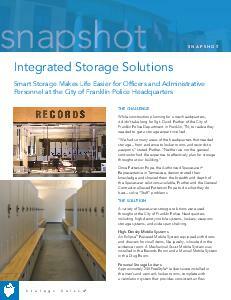 Smart Storage Makes Life Easier for Officers and Administrative Personnel at the City of Franklin Police Headquarters. A new jail expansion was intended for construction in downtown Greensboro, NC. Early focus was given to inmate property storage, but as the planning process continued it became apparent that there would be no way to accommodate all the storage needs in this project without using high density mobile systems throughout the facility. 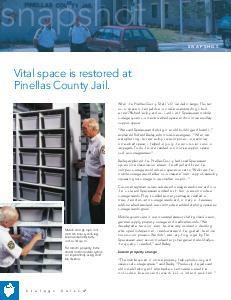 Florida County Jail uses high-density mobile storage systems to improve productivity, save space and organize storage materials. 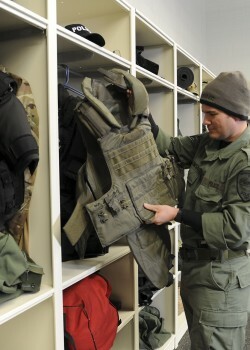 The storage materials included inmate property, over 10,000 inmate records and general supply. 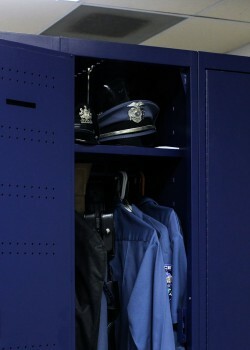 Keeping the streets safe – and protecting citizens from harm – involves a host of disparate processes and procedures, along with a diverse mix of uniquely qualified professionals who are sworn to serve and protect. In short, public safety is a highly complex science. It’s also one that shares a singularly critical element ... storage. Whether it involves law enforcement storage; crime lab storage; courthouse storage; corrections storage; fire department storage, or anything else that has to do with public safety, we’ve got a storage solution … from collar to conviction®. 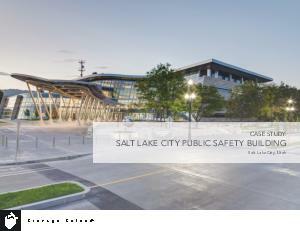 The Salt Lake City Public Safety Building was created to serve as a central hub for the community by combining the police, fire and emergency response departments to one location. The building was constructed with safety in mind and is engineered to withstand and continue functioning through a 7.5 earthquake. 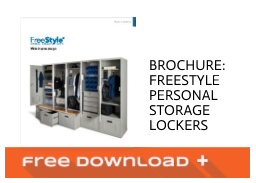 However, due to space constraints the design team was force to look at smart storage options. 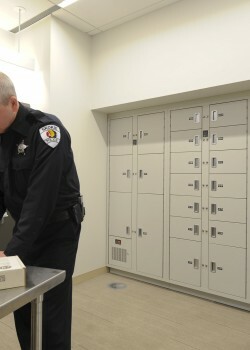 Spacesaver storage systems are used throughout the entire building, which makes it a state-of-the-art facility to serve the public safety needs both now and in the future. 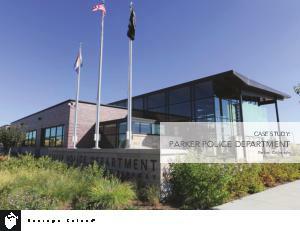 The Police Department of Parker, Colorado outgrew their facility. 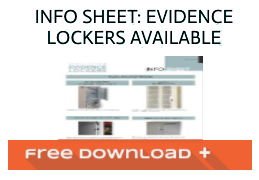 The opportunity to construct a new building gave them the chance to implement smarter storage solutions and have "one of the only property rooms that has extra space because it is organized so well," and to lay claim to hosting "one of the best evidence storage facilities not only in the state but in the country." 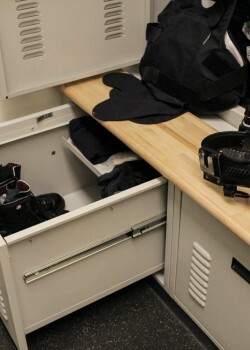 Whether you work at a police station or a correctional facility, Spacesaver can provide you with the storage assistance you need. 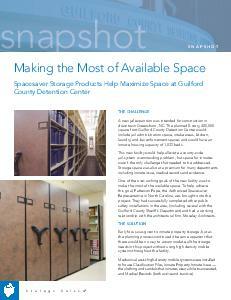 Download some great stories of how Spavesaver made space matter for our clients in need.